Registration Information. When you sign up for a Hytch account, you give us your name, email address, and phone number. User Profile Information. When you join the Hytch community, you are automatically included in the matching program. You may opt out at anytime. Users contribute their status (as in a ride, as the driver, a rider or other) and if using public transit, you may be with other Users or credited as being engaged with a bus or train in participating transit systems. Your name, names of paired riders or drivers, Profile photos and associated groups are always part of your Profile. Read more below about how you can control who sees your Profile. Location Information. Hytch is all about rewarding people who share rides. To do this, we need to know where you are. When you open Hytch on your mobile device, we receive your location. We may collect the precise location of your device when the app is running in the foreground or background. If you give us permission through your device settings or Hytch app, we may collect your location while the app is off to identify promotions or service updates in your area. If you label certain locations, such as “home” and “work,” we receive that information, too. Your location information is necessary for things like determining starting and ending locations, identifying the proximity of other riders to you at starting and ending locations, and tracking your mileage for rewards purposes. Device Information. Hytch receives information from Users’ devices, including IP address, web browser type, mobile operating system version, phone carrier and manufacturer, application installations, device identifiers, mobile advertising identifiers, push notification tokens. We collect mobile sensor data from User devices (such as location, speed, direction, GPS coordinates, wifi triangulation, height, acceleration or deceleration) to understand location accuracy and analyze usage patterns for improved service and to suggest any potential user match. Usage Information. To help us understand how you use the Hytch Platform and to help us improve it, we automatically receive information about your interactions with the Hytch Platform, like the pages or other content you view, your actions within the Hytch app, and the dates and times of your visit and participation. Third Party Services. If you choose to register for Hytch or otherwise link your Hytch account with a third party’s service (such as Facebook), we may receive the same type of information we collect from you (described above) directly from those services. Sponsor Programs. If a company, university, or organization participates in one of our Sponsor programs we may receive information about you, such as your email address or unique employer ID from participating organizations, necessary to reward you and distribute incentives as intended. We also may give your participating organization the opportunity to invite you to ride-share on your behalf, in which case they may provide us with your name, phone number, and the pickup and drop off location for your ride. Sharing between Ride-sharers. In the case that a ride-sharer opts-in to meet other ride-sharers, either within a specified network, or otherwise, ride-sharers may be able to see basic information about each other, such as names, photo, and certain information like overlapping group codes that are helpful to matching rideshare history or Profiles. Although we help Ride-sharers communicate with one another to arrange a Hytch, we do not share your actual phone number or other contact information with other Users. API and Integration Partners. If you connect to the Hytch Platform through an integration with a third party service, we may share information about your use of the Hytch Platform with that third party. We may share your information with our third party partners in order to receive additional information about you. We may also share your information with third party partners to create offers that may be of interest to you. Third Party Services. The Hytch Platform may allow you to connect with other websites, products, or services that we don’t have control over (for example, we give you the ability to cash out your rewards through Paypal). If you use these services, we will provide the third party with information about you to allow them to provide the service to you. We can’t speak to the privacy practices of these third parties, and we encourage you to read their privacy policies before deciding whether to use their services. Email Subscriptions. You can always unsubscribe from our commercial or promotional emails but we will still send you transactional and relational emails about your account use of the Hytch Platform. Text Messages. You can opt out of receiving commercial or promotional text messages by texting the word END to the number sent from the mobile device receiving the messages. You may also opt out of receiving all texts from Hytch (including transactional or relational messages) by texting the word STOPALL to the number sent from the mobile device receiving the messages, however, opting out of receiving all texts will impact your use of the Hytch Platform. Push Notifications. You can opt out of receiving push notifications through your device settings. Please note that opting out of receiving push notifications may impact your use of the Hytch Platform (such as receiving a notification that your ride-share has arrived). Profile Information. While your name will always be shared with fellow ride-sharers, you can delete any additional information that you added to your Profile at any time if you don’t want ride-sharers to see it. Location Information. While you can prevent your device from sharing location information at any time through your Device’s operating system settings, location is core to the Hytch Platform and without it we can’t reward you for your ride-share. Children’s Privacy. To earn Hytch rewards requires a “pairing” of two Users above the age of 13 or a User engaged with a Hytch sponsored school bus rewards program.  Hytch rewards are not directed to children, except with Hytch sponsored School Bus Ridership reward programs which are authorized by the participating School District and specifically identify the school bus itself in the pairing. We do not allow matching services for school bus reward programs. We do not share personal information (like phone numbers or names) with sponsors or between Users. We don’t knowingly collect personal information from children under the age of 13 and they are not eligible for rewards. If we find out that a child under 13 has given us personal information, we will take steps to delete that information. If you believe that a child under the age of 13 has given us personal information, please contact us at info@hytch.me. PLEASE BE ADVISED: THIS AGREEMENT CONTAINS PROVISIONS THAT GOVERN HOW CLAIMS YOU AND HYTCH HAVE AGAINST EACH OTHER CAN BE BROUGHT. THESE PROVISIONS WILL, WITH LIMITED EXCEPTION, REQUIRE YOU TO SUBMIT CLAIMS YOU HAVE AGAINST HYTCH TO BINDING AND FINAL ARBITRATION ON AN INDIVIDUAL BASIS, NOT AS A PLAINTIFF OR CLASS MEMBER IN ANY CLASS, GROUP OR REPRESENTATIVE ACTION OR PROCEEDING. AS A DRIVER, YOU HAVE AN OPPORTUNITY TO OPT OUT OF ARBITRATION WITH RESPECT TO CERTAIN CLAIMS. By entering into to this Agreement, you expressly acknowledge that you understand this Agreement and accept all of its terms. Use of Hytch services, including clicking "accept" or “agree” to access the Hytch app, is an acknowledgement that you agree that you have read, understand, and agree to be bound by these Terms. IF YOU DO NOT AGREE TO BE BOUND BY THE TERMS AND CONDITIONS OF THIS AGREEMENT, YOU MAY NOT USE OR ACCESS THE HYTCH PLATFORM. The Hytch Platform provides a rules engine which tracks and rewards shared rides between one Driver and one or more Riders or with others that are interested in sharing a ride via other means, which may include public transportation (“Ride Sharers”). Ride Sharers, Drivers, and Riders are collectively referred to herein as “User(s),” or “Member(s)” and each User shall create a User account that enables access to the Hytch Platform. For purposes of this Agreement, the tracking of a ride in progress and rewarding of Users provided through the Platform shall be referred to collectively as the “Services”. Any decision by a User to offer or accept Services is a decision made in such User’s sole discretion. Each transportation Service provided between Users shall constitute a separate agreement between such persons. In the event that an account is created and then “inactive” or without activity for at least 3 months, Hytch reserves the right to terminate the account. In the event that an account is terminated, the User forfeits the rights to all rewards currently stored within their account, and all rewards will be returned back to the Hytch Service. By becoming a User, you agree to receive communications from us, including via e-mail, text message, calls, and push notifications. Communications from Hytch may include but are not limited to: operational communications concerning your User account or use of the Hytch Platform or Services, updates concerning new and existing features on the Hytch Platform, communications concerning promotions run by us or our third-party partners, and news concerning Hytch and industry developments or safety alerts. Standard text messaging charges assessed by your cell phone carrier will apply to text messages we send. As part of your User account, Hytch may provide you with or allow you to create a “Hytch Group Code,” a unique alphanumeric code for you to distribute to friends, family and other persons (each a “Referred User”) to become new Hytch Ride-sharers (“Referred Ride-sharers”). Hytch Codes may only be distributed for promotional purposes and must be given away free of charge. You may not sell, trade, or barter your Hytch Group Code. You are prohibited from advertising Hytch Group Codes, including but not limited to: Google, Facebook, Twitter, Bing and Craigslist. Hytch reserves the right to deactivate or invalidate any Hytch Group Code at any time in Hytch’s discretion. You will not engage in reckless behavior while driving, which may include but is not limited to the legal definitions of driving unsafely and operating a vehicle that is unsafe to drive according to the laws of any state where you may drive. You will not “text and drive” or interact with your phone while driving. If you are involved in a motor vehicle accident or collision of any kind you will not leave the scene or endanger the public. You will not drive while under the influence of alcohol or drugs, or take action that harms or threatens to harm the safety of the Hytch community or third parties. You will not transport more passengers than can securely and safely be seated in the vehicle (and no more than seven (7) passengers in any instance). You will not attempt to defraud Employers, Sponsors, Hytch or Riders on the Hytch Platform in connection with your participation. If we suspect that you have engaged in fraudulent activity we may withhold applicable points and terminate your Membership. This Agreement is effective upon your creation of a User account. This Agreement may be terminated: a) by a User, without cause, or b) by either Party immediately, without notice, upon the other Party’s material breach of this Agreement. In addition, Hytch may terminate this Agreement or deactivate your User account immediately in the event: (1) you are found to be impersonating a second user through use of a second phone owned, controlled, or borrowed for the purpose of impersonating a “second” or additional user of the service, or are misrepresenting yourself in some way to the Hytch Platform to represent a shared ride that did not include two or more fully participating adults to earn fraudulent rewards; or (2) Hytch has the good faith belief that such action is necessary to protect the safety of the Hytch community or third parties, provided that in the event of a deactivation pursuant to (1) and (2) above. In the case that an account is terminated for (1) or (2) above, at the sole discretion of Hytch, all Hytch points will be immediately forfeited and Membership may be terminated without recourse. If a user terminates an account, all Hytch points will be immediately forfeited without recourse. HYTCH and other Hytch logos, designs, graphics, icons, scripts and service names are registered trademarks, trademarks or trade dress of Hytch in the United States and/or other countries (collectively, the “Hytch Marks”). If you provide Services as a Driver, Hytch grants to you, during the term of this Agreement, and subject to your compliance with the terms and conditions of this Agreement, a limited, revocable, non-exclusive license to display and use the Hytch Marks solely in connection with providing the Services through the Hytch Platform (“License”). The License is non-transferable and non-assignable, and you shall not grant to any third party any right, permission, license or sublicense with respect to any of the rights granted hereunder without Hytch’s prior written permission, which it may withhold in its sole discretion. The Hytch Marks may not be used in any manner that is likely to cause confusion. Hytch is not responsible for the conduct, whether online or offline, of any User of the Hytch Platform or Services. You are solely responsible for your interactions with other Users. We do not procure insurance for, nor are we responsible for, personal belongings left in the car by Drivers or Riders. By using the Hytch Platform and participating in the Services, you agree to accept such risks and agree that Hytch is not responsible for the acts or omissions of Users on the Hytch Platform or participating in the Services. We cannot guarantee that each Rider is who he or she claims to be. Please use common sense when using the Hytch Platform and Services, including asking for a copy of legal identification, proof of proper and current driver’s license and using reasonable judgment in any circumstance where you have been invited to ride or matched with any other party to make sure it is the same individual. Please note that there are also risks of dealing with underage persons or people acting under false pretense, and we do not accept responsibility or liability for any content, communication or other use or access of the Hytch Platform by persons under the age of 18 or any use of the Service by children under the age of 13 in violation of this Agreement. We encourage you to communicate directly with each potential Driver or Rider prior to engaging in an arranged transportation service. You will defend, indemnify, and hold Hytch including our affiliates, subsidiaries, parents, successors and assigns, and each of our respective officers, directors, employees, agents, or shareholders harmless from any claims, actions, suits, losses, costs, liabilities and expenses (including reasonable attorneys’ fees) relating to or arising out of your use of the Hytch Platform and participation in the Services, including: (1) your breach of this Agreement or the documents it incorporates by reference; (2) your violation of any law or the rights of a third party, including, without limitation, Drivers, Riders, Sponsors, other motorists, and pedestrians, as a result of your own interaction with such third party; (3) any allegation that any materials that you submit to us or transmit through the Hytch Platform or to us infringe or otherwise violate the copyright, trademark, trade secret or other intellectual property or other rights of any third party; (4) your ownership, use or operation of a motor vehicle or passenger vehicle, including your provision of Services as a Driver; and/or (5) any other activities in connection with the Services. This indemnity shall be applicable without regard to the negligence of any party, including any indemnified person. We are not involved in and in no way responsible for any actual dealings between you and other Users who use the Hytch Service. You agree that Hytch and Hytch Partners will not be a party to disputes, negotiations of disputes or conflicts of any kind between Users. We encourage you to report all physical disputes with other Users to your local law enforcement authorities. Hytch does not, and shall not be deemed to, direct or control you generally or in your performance under this Agreement specifically, including in connection with your provision of Services, your acts or omissions, or your operation and maintenance of your vehicle. You retain the sole right to determine when, where, and for how long you will utilize the Hytch Platform. You retain the option to accept or to decline or ignore any invitation by any User of Services via the Hytch Platform, or to cancel an accepted request for Services via the Hytch Platform, subject to Hytch’s then-current cancellation policies.